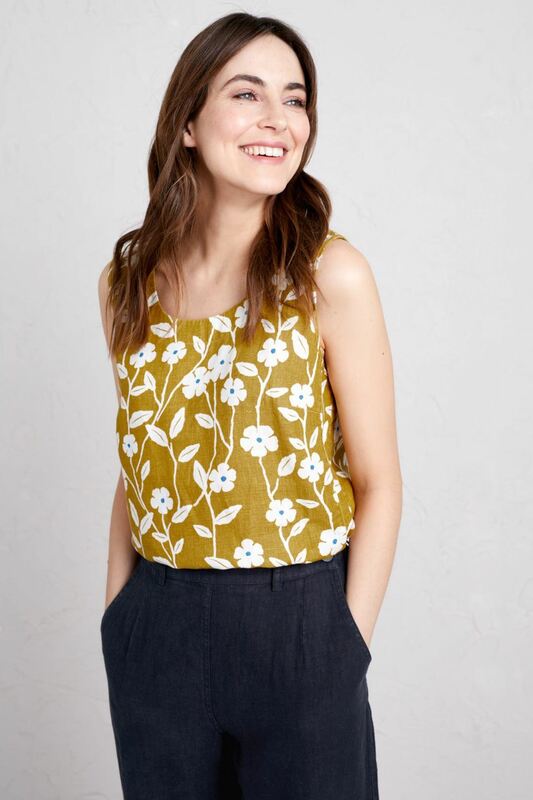 A relaxed fit sleeveless shell top in a unique seasalt print, made from cool and comfortable linen... perfect for warm summer days. Team up with Seasalts Albert Quay crops and a pair of Seasalt Sun Terrace sandals to complete your summer outfit. A relaxed fit sleeveless shell top in a unique seasalt print. The Dreamscape Top is made from cool and comfortable linen that's perfect for warm summer days. It offers a bit more coverage across the shoulders and makes a great alternative to a classic cotton vest top. Perfect with slim-fit crops and a pair of flat leather sandals.